A couple weeks before my time as executive director expired I had to sit my local staff down and have a big kid talk with them. I say it this way not to diminish their intelligence but because change is scary and it can sometimes make us doubt our own capacity making us act more like children. And the moment that we had to directly address my eminent absence was one of those times for my staff. For the last four years I’ve been working with them to empower them as leaders and help them figure out how to run an organization like this themselves, and even for the last few months we’ve known this was coming and have been preparing together for the transition. However, when I pointed out to them that I only had one more meeting left with them, all of a sudden the reality hit and they started acting like their daddy was abandoning them. I looked right back at him and responded, “Yes, clearly I hate you. Now shut up and put on your big boy britches cuz that’s life.” Then I took a breath and had to explain to them very gently how when you give birth to a baby and watch it grow in this world, there always comes a time when you have to let it go and let it live on its own. You can’t hold its hand forever. Then there were some relieved nods from the staff. 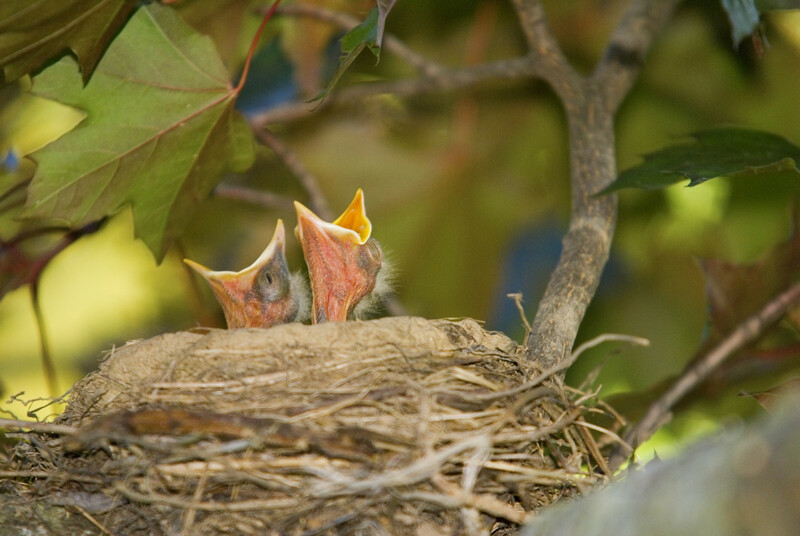 I even threw in the little birdie metaphor that they’ve got to be pushed out of the nest in order to fly. Although I’ll admit that I wasn’t sure if that was the right metaphor because there have certainly been days that I’ve been tempted to push them off of a cliff rather than out of the nest, but I guess you’ll always have that with coworkers, so I kept the mood positive. But I’ve since been thinking that I didn’t really push them out of the nest either, I’ve flown away and left the nest in their hands to do with it what they want. But I guess that’s what I get for using little birdie metaphors, they’ll never be exactly right. This system can only last so long. The point is I was trying to get them to understand that they don’t need me anymore. But that’s hard to do here because dependency is such a normal part of life but I have to be careful of what I say because Haitians never want to hear that they’re dependent. No one would want to, really. It’s not a compliment. I’ve broken up other groups in Haiti before for even suggesting the idea that they’re too dependent on people from the outside. There are people in this community who refuse to work with me anymore because I told them that they couldn’t depend on me for anything beyond any advice I could give and a general positive attitude. But that always strikes a nerve because the expectations have become that foreigners just give give give to help the poor Haitians whether or not that’s really what will help the Haitians in the long run. It feels good for the Giver and takes care of the Receiver’s temporary need, but for those like me who have made their life here, it is a constant struggle to try to encourage different systems of aid that don’t involve so much dependency. It seems to work in the moments, but causes more problems in the long run. But sometimes you have to be here for the long run in order to see that. And if seven years counts as the long run, then I’ve seen those problems be created in a number of organizations, and they can actually be created very quickly. The gestation period for dependency isn’t that long. All it has to take is one promise or one gift or even one misinterpreted good hearted suggestion. But it can also happen unknowingly through weeks and months and years of working towards a completely different independent goal. This country is full of projects that have found themselves in that situation whether they realize it or not, staying alive only as long as the person in charge stays in charge and keeps things afloat by making more and more sacrifices each day. This only leads to burn out and bitterness on the one side and disappointment and a feeling of betrayal on the other. This is why helping people can be such a dangerous business. I can’t say that I did it all completely right in my 4 years of being a nonprofit executive director. I certainly made plenty of mistakes that I learned from along the way. And even now only time will tell if I made the right choice to step down at this point, bit it’s really the only way to find out. So I’ve flown out of the nest, passed the torch, cut the umbilical cord, and pushed them off a cliff. I’ll still be watching to make sure they land on their feet. And when they do then at least they’ll be able to say they did it their own way. And maybe in the nonprofit business that’s how we should define success: that when the organization succeeds, as a leader you’ve done things in such a way that you don’t get any credit for it. Let the little birdies get the credit. Besides, we’ve all got other eggs to hatch and other nests to build.